The first Annual Fairtrade Fortnight was back in 1995 and was marked by Justino Peck, a cocoa farmer from Belize, touring the country. The theme for this year is “Make it Happen – Choose Fairtrade”, and in keeping with this spirit, In the run up to Fairtrade Fortnight 2009 I attempted an ambitious A-Z of all things Fairtrade. From Accreditation to Zimbabwe and everything in between including the Fairtrade Label explained, profiles of some pioneering Fairtrade brands, and some key product areas in the Fairtrade arena. A – ACCREDITATION: To carry the Fairtrade Mark each and every product and producer must go through an independent process of auditing and accreditation to standards set by FLO. Faritrade is a people’s movement for change that aims to tip the balance of trade in favour of poor producers. Fairtrade Fortnight is a celebration of the fact that when you buy a product bearing the Fairtrade Mark you can be confident that the producer has received a fair deal. B – BANANAS: Currently, there are Fairtrade standards for 18 different product categories; bananas are one of these products. As the European Union is the biggest market in the world for bananas, a massive proportion of all bananas in the world are shipped to the EU every year. However, due to licensing, quotas and duty rates, banana producers in Latin America are at a severe disadvantage. Also, because of the time-sensitive supply chain, the banana industry is increasingly dominated by transnational corporations who control the markets and price. Due to the falling prices of bananas over recent years, the everyday life of a plantation worker or small farmer has worsened and is characterised by an unfairly low wage and poor working conditions. 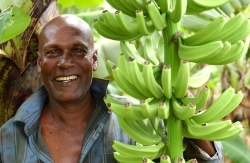 Bananas bearing the Fairtrade Certification Mark have been produced on smaller scale farms or on plantations that adhere to very high socio-economic standards. The farmers are guaranteed a Minimum Price to cover production costs and receive a Fairtrade Premium to invest in social and economic initiatives that will benefit their communities. D – DIVINE CHOCOLATE: In autumn 1998, Divine, the first ever Fairtrade chocolate bar aimed at the mass market was launched onto the UK confectionery market. In an exciting new business model, the co-operative of cocoa farmers in Ghana own shares in the company making the chocolate bar. Ethical Superstore stock over 50 lines from Divine Chocolate including many seasonal favourites for Christmas, Valentine’s Day, Easter, and more! E – EQUAL EXCHANGE: Equal Exchange started life after three voluntary workers returned home to Edinburgh after having worked on aid projects throughout Africa. Along with a sister organisation in London, Campaign Co-op, they started buying instant coffee from Bukoba on Lake Victoria in Tanzania. 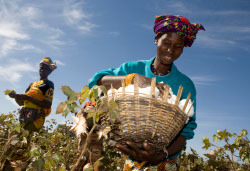 Equal Exchange is dedicated to the promotion of Fairtrade and Organic production methods, ensuring a fair deal for farmers and the environment. 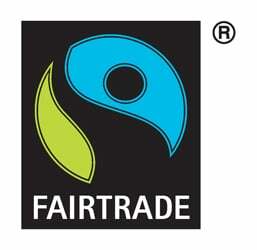 Ethical Superstore stock over 50 Equal Exchange products including Fairtrade tea and coffee, honey, olive oil, and more. 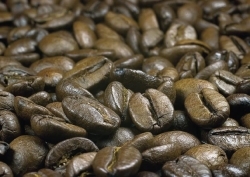 G – GOLD: Maya Gold was the first UK product to be awarded the Fairtrade Mark back in 1994, shortly followed by Cafédirect coffee and Clipper tea. Traditionally the Maya Indians in southern Belize flavoured their cocoa with spices. Green & Black’s recapture this by blending rich, dark chocolate with a refreshing twist of orange that is perfectly balanced by the warmth of cinnamon, nutmeg and a hint of vanilla. All of the Green & Black’s current range is certified organic by the Soil Association. 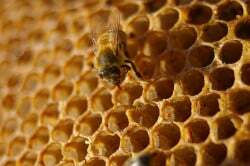 H – HONEY: During the 1970’s the local government in South East Mexico trained indigenous people beekeeping in order to earn a living. However, the only people who bought their honey were middlemen who paid little or nothing to the farmers. In the 1980’s some producers formed an unofficial union which became Fairtrade Certified in the 1990’s, allowing them to sell their honey to world markets without the need for intermediaries. This has also meant that despite fierce price battles, Fairtrade honey producers can afford to better their lives and that of their communities thanks to the Fairtrade Minimum Price and Premium. I – IFAT: The International Fair Trade Association’s mission is “to enable producers to improve their livelihoods and communities through Fair Trade.” It does this through three key areas; Market Development, Fair Trade Monitoring, and Advocacy. It has recently changed its name to the World Fair Trade Organization as part of a process to clearly state its mission and purpose. Many IFAT members produce Fairtrade goods. Previous story Have it all – at what cost?